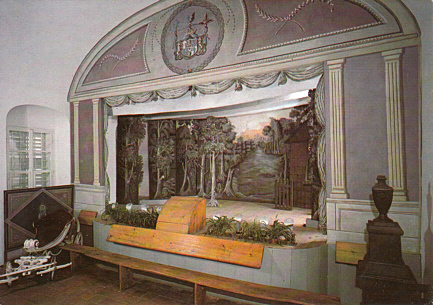 Palace theatre of Kozel Palace, built 1830. 1986-1988 restorations. Reverse Text: "Zámek Kozel, Schloß Kozel, Kozel Mansion, Kozel Château - Divadlo, Theater, Theatre, Théâtre"